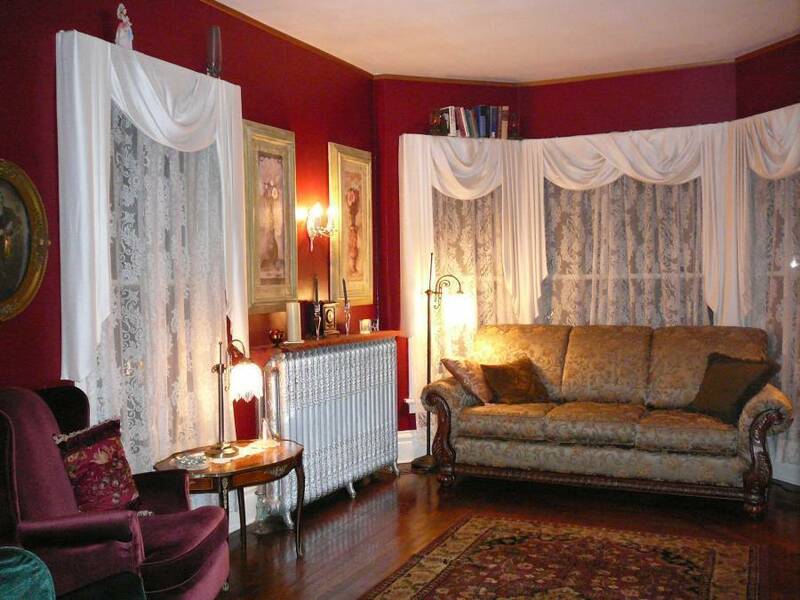 Candlelite Inn Bed & Breakfast is a warm and welcoming turn of the century four square inn. 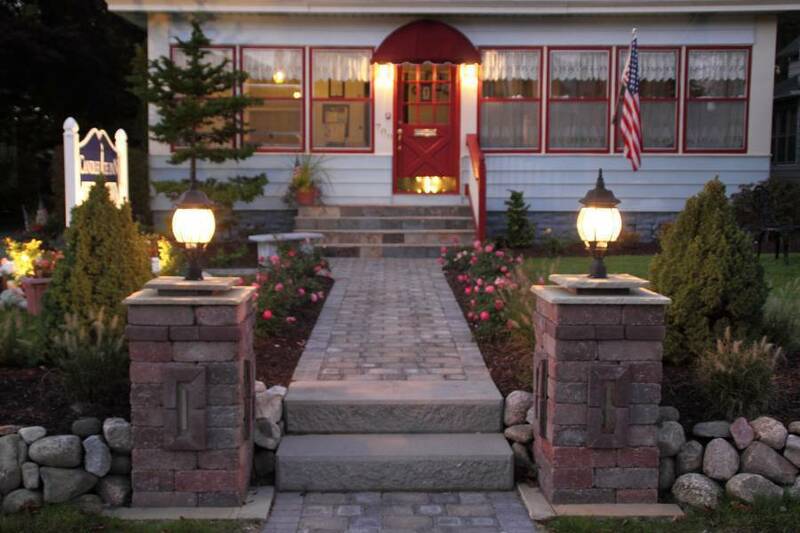 This romantic Ludington Bed & Breakfast is beautifully appointed for your comfort and relaxation, and is one of the state's select few inns to be certified by Michigan Green Lodging. 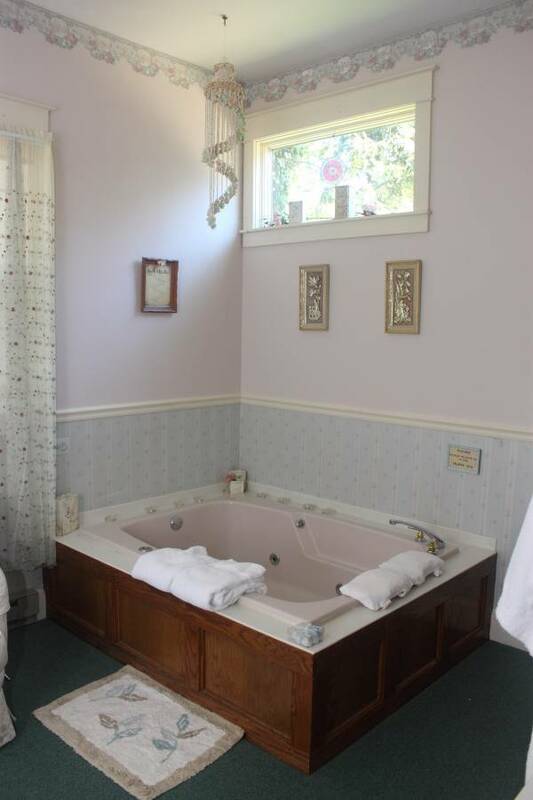 Accommodations range from the pet friendly Americana & Ludington Rooms, to the very spacious deluxe Romantic Retreat Suite featuring a Jacuzzi tub for two, four seasons fireplace, DVD, CD player, separate shower, chocolates, champagne bucket, flutes, aromatherapy, candles & plenty of ambiance. 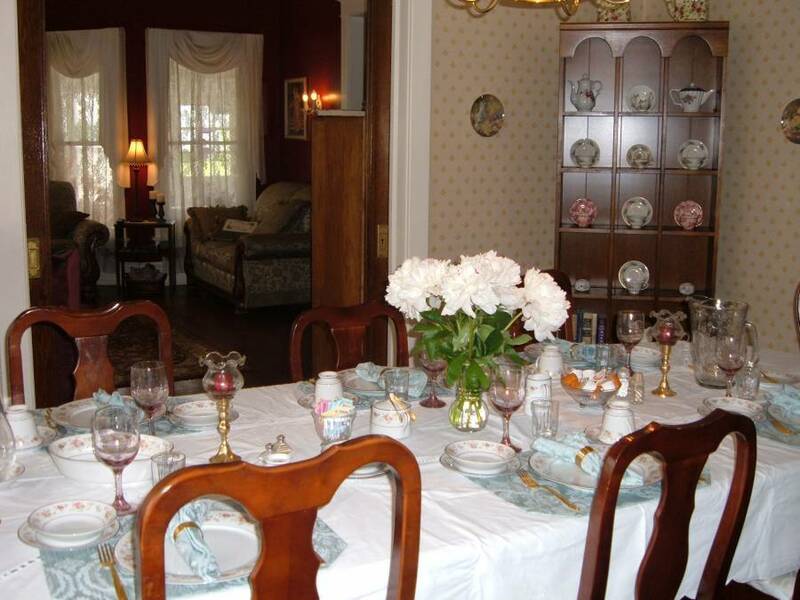 Your classic Michigan bed and breakfast offers seven uniquely themed romantic rooms, each with its own in room bath, air conditioning, high speed wireless Internet access, Direct TV with multiple premium movie channels (Showtimes, HBO, Starz, Cinemax, plus additional sports channels - approximately 350 channels in all including music), DVD player, movies, AM/FM/alarm clock, CD player, hair dryer, champagne bucket on silver stands, chocolates, embroidered spa robes and comfortable queen beds, thick mattress toppers, soft high thread count linens and plenty of pillows and fluffy towels. There are many special touches throughout the inn for your enjoyment from over fifty games & puzzles to the movie collection, free Wi-Fi and more. 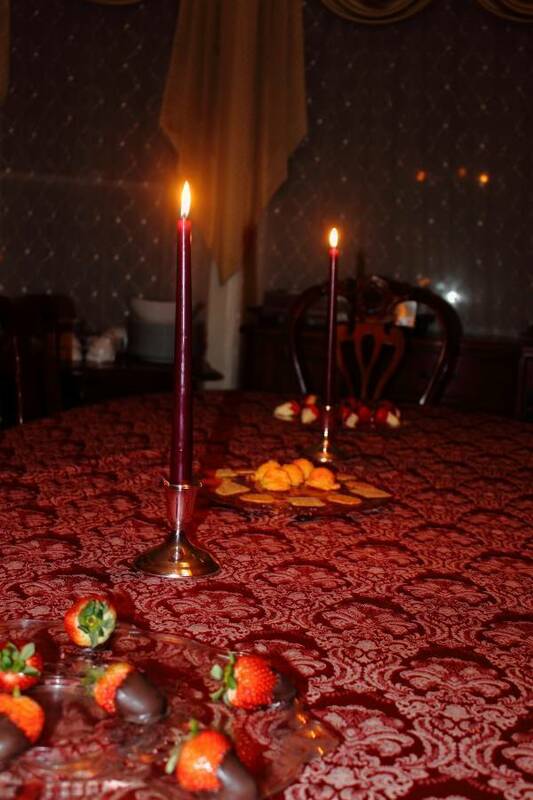 At Candlelite Inn Bed & Breakfast, our guests are never too early or too late for your delightful, full, piping hot delicious breakfast, served family style, taking into account your dietary preferences, with fresh local & organic products. It is a pleasure to serve those who are gluten free, vegetarian, vegan, or have other dietary restrictions. Each of the seven inviting themed rooms offers a private in room bath, air conditioning, television with Dish Network and multiple premium channels (Showtime, HBO, Starz & Cinemax, plus music and extra sports channels besides - approximately 350 channels in all), DVD player (complimentary movies too), AM/FM/alarm clock, CD player, hair dryer, Wi-Fi, elegant silver champagne buckets on tall stands, chocolates, embroidered spa robes and comfortable queen beds are covered with thick mattress toppers, high thread count linens, & fluffy pillows. Please ask if you would like feather pillows too. Rates are per room with one or two persons. 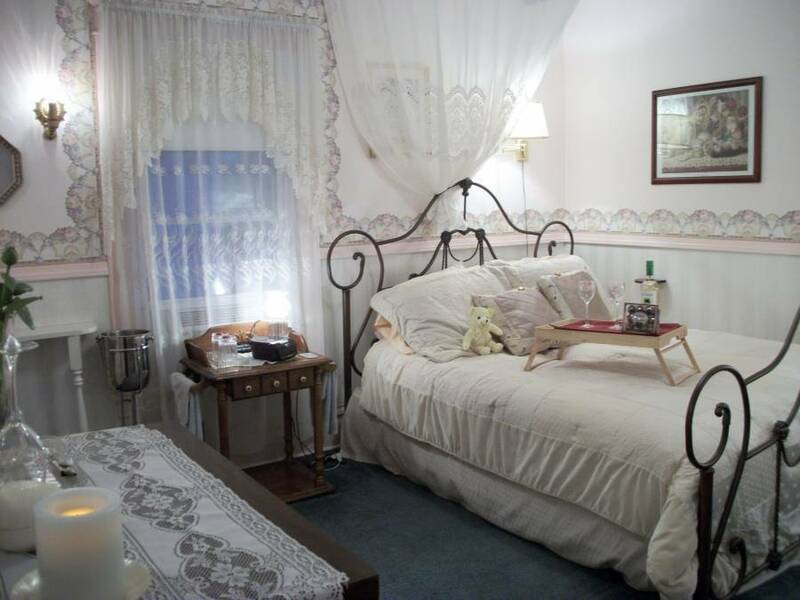 In most rooms and the Romantic Retreat Suite, a twin sized Aerobed or Pack N Play can be added. Please add $20.00 per additional person. No more than three guests maximum are allowed per room. Lodging reservations will be confirmed by mail, email, or fax. Your deposit may be made via check, Visa or MasterCard. If you must cancel with less than seven (7) days notice, we will be unable to refund your deposit, however, it may be applied to a new reservation unless the cancellation is received less than 24 hours prior to arrival date. Located along historical Ludington Avenue near Washington Avenue. We are about 8/10s of a mile from sandy Lake Michigan beaches.